You'll be £11.99 closer to your next £10.00 credit when you purchase MESSERSCHMITT Bf 109. What's this? The most iconic German aircraft of the Second World War, the Messerschmitt Bf 109 was the Luftwaffe’s principal fighter from 1939 until 1942 when the superior Focke-Wulf Fw 190 came into greater prominence. 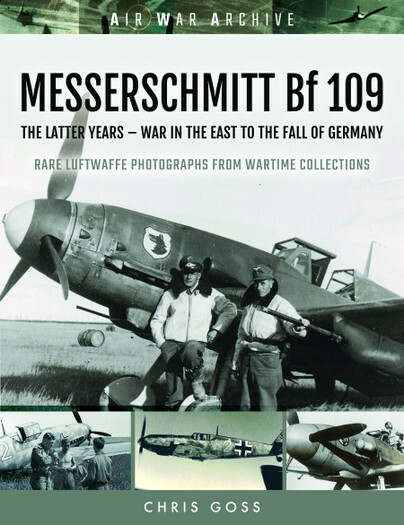 The Bf 109 served in every theatre of the war, though in this book the author examines the Tip and Run era, D-Day and the Eastern Front. In the later years of the war, the Bf 109 fought with some success in the defence of Germany against Allied bombers. The Bf 109 was the most produced fighter aircraft in history and more aerial kills were made with this fighter than any other aircraft. Indeed, A total of 105 Bf 109 pilots were each credited with the destruction of 100 or more enemy aircraft; thirteen of these men scored more than 200 kills, while two scored more than 300. The Bf 109 was flown by the three top-scoring fighter aces of the war: Erich Hartmann, the top-scoring fighter pilot of all time claiming 352 victories, Gerhard Barkhorn with 301 victories, and Günther Rall, who claimed 275 victories. All of them flew with JG 52, a unit which exclusively flew the Bf 109 and was credited with over 10,000 victories, chiefly on the Eastern Front. The Bf 109 was also supplied to several of Germany's allies, including Finland, Hungary, Romania, Bulgaria, Croatia, and Slovakia. In this selection of unrivalled images collected over many years, the operations of this famous aircraft in the latter part of the Second World War are portrayed and brought to life.